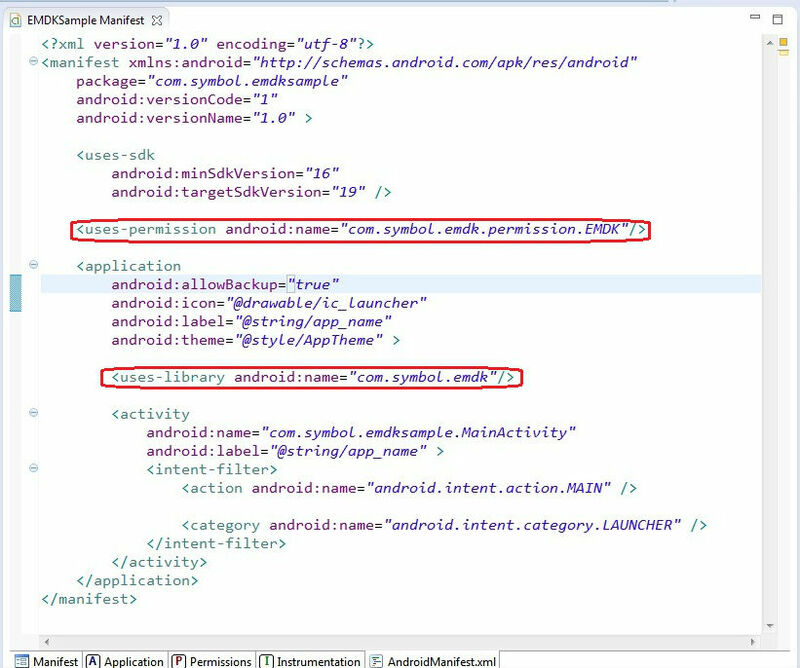 This guide will walk you through creating an EMDK For Android application that will use Data Capture Profiles to get barcode data into your application using the KeyStroke output feature of EMDK Profiles. 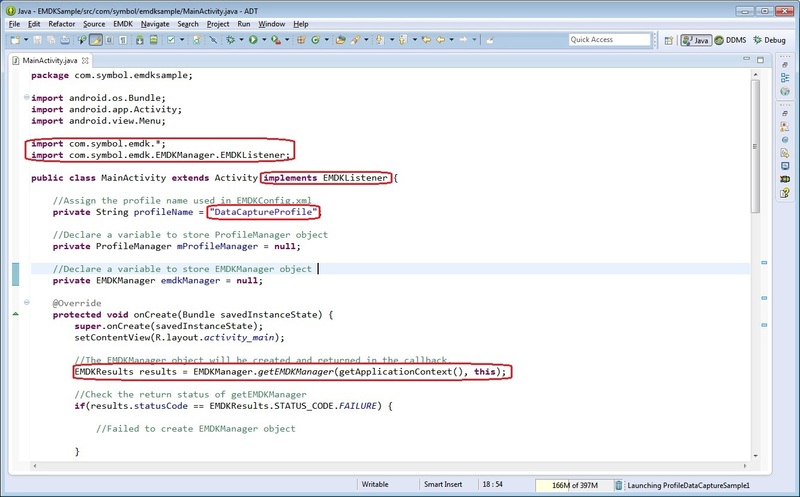 Note: Provide "EMDKSample" as the project name for this tutorial. 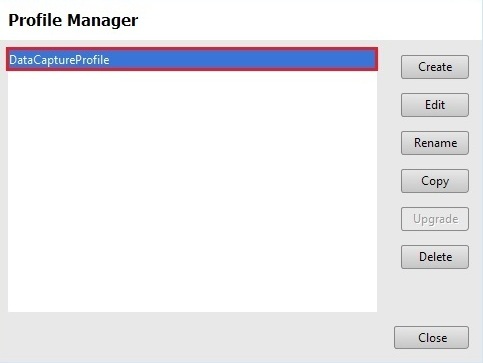 Click here to see how to add a specific feature to A profile with the Profile Manager. 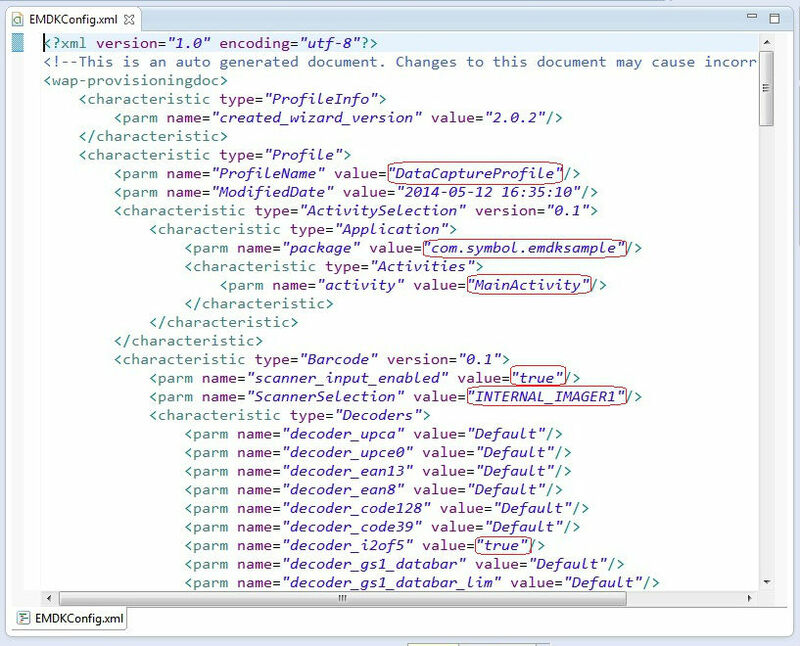 Provide "DataCaptureProfile" as the Profile Name for this tutorial. Click on the selected feature. The parameter list will be populated. Click on the "Barcode" feature. The parameter list will be populated. 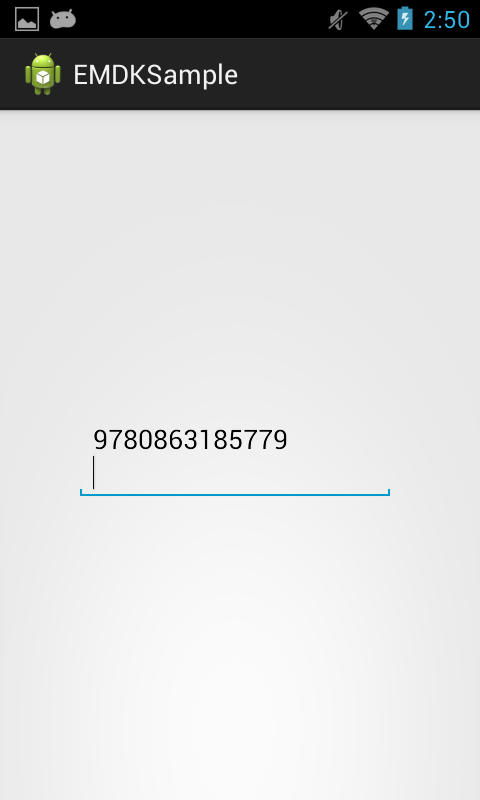 Note: The field "Name" contains user defined name to identify a particular Barcode feature. 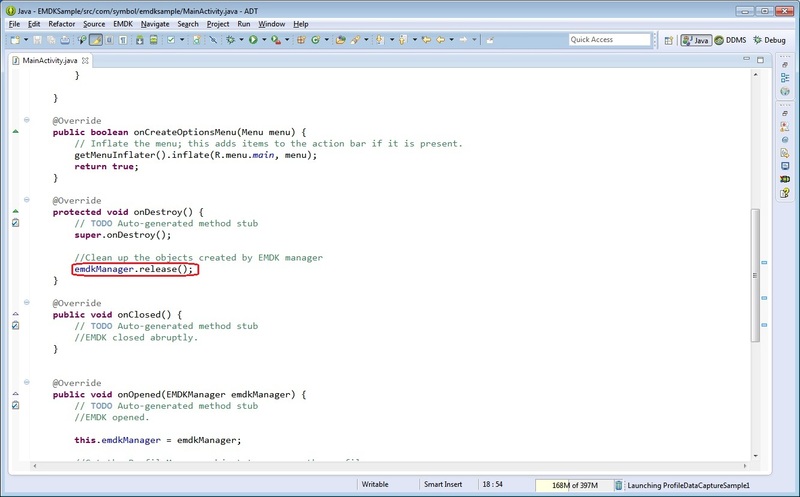 This is required when editing any specific Barcode feature programmatically, which is outside the scope of this tutorial. So we will keep the "Name" field empty. Enable the feature and change some parameters. 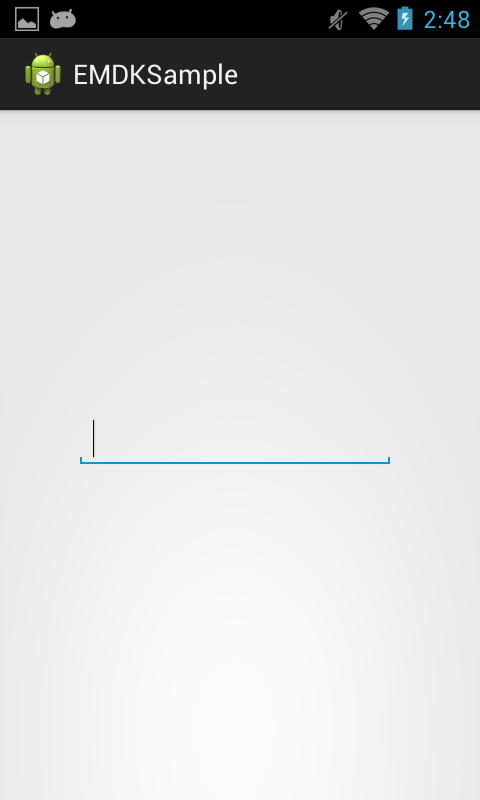 Select the Keystroke feature and click "Right Arrow" (Ex: "Keystroke" has been selected). 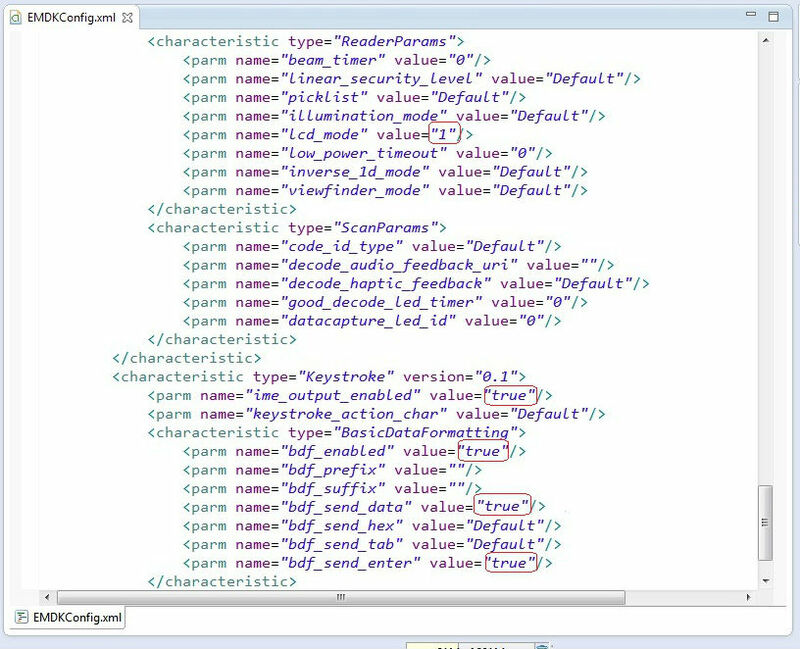 Note: The field "Name" contains user defined name to identify a particular Keystroke feature. This is required when editing any specific Keystroke feature programmatically, which is outside the scope of this tutorial. So we will keep the "Name" field empty. 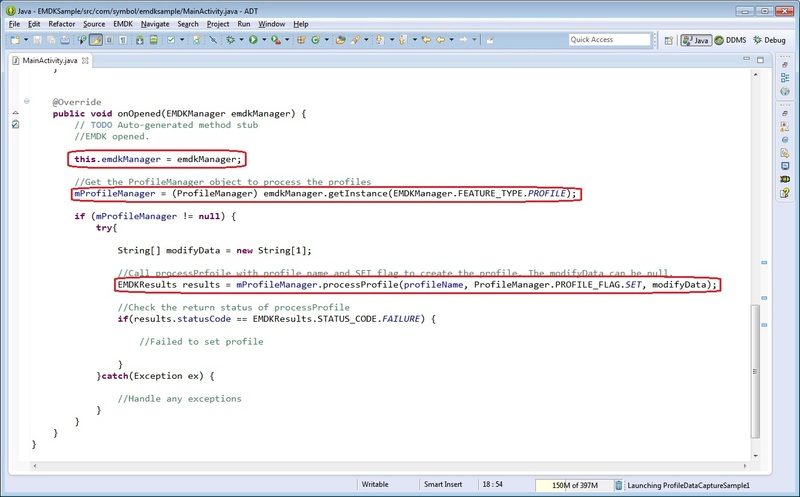 //Call processPrfoile with profile name and SET flag to create the profile. The modifyData can be null. Add an EditText Field in the UI called "editTextBarcode", inside "res/layout/activity_main.xml". 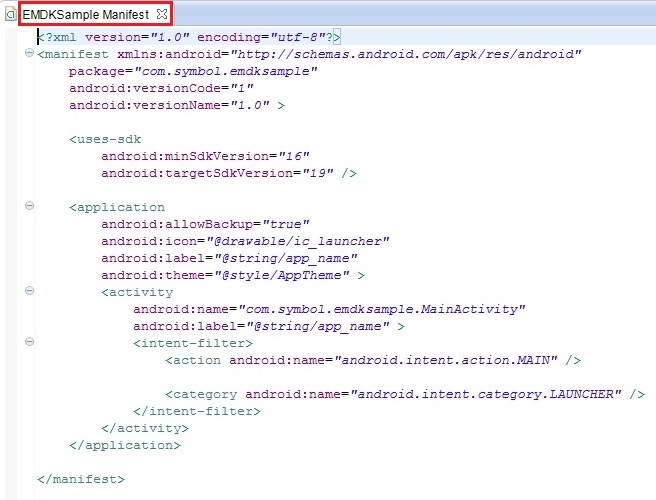 Now that you have learned the basics of an EMDK for Android application, the next tutorial will show you how to use the Intent Output feature of EMDK Profiles to handle Data Capture output programmatically.